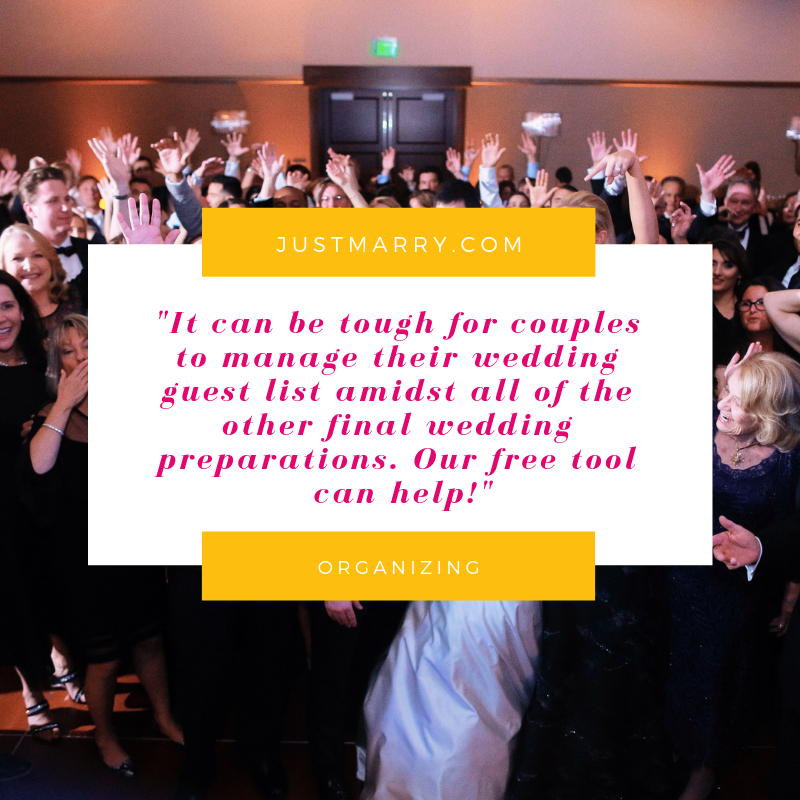 Wedding Guest List Organizer | Organizing - Orlando Wedding Planners | Just Marry! March 27, 2019 by Just Marry! Hi, y’all…Victoria here, and today I’m sharing tips about keeping your wedding guest list organized! One of the main reasons I chose to pursue a career in event planning was because of my knack for organizing. It has always been a huge skill of mine and something I thoroughly enjoy. This post is going to give you the organizing tips you need to keep your wedding guest list on track for your big day! I have many clients who request assistance with keeping their guests’ meal choices and seating assignments organized. It can be tough for couples to manage amidst all of the other final wedding preparations. 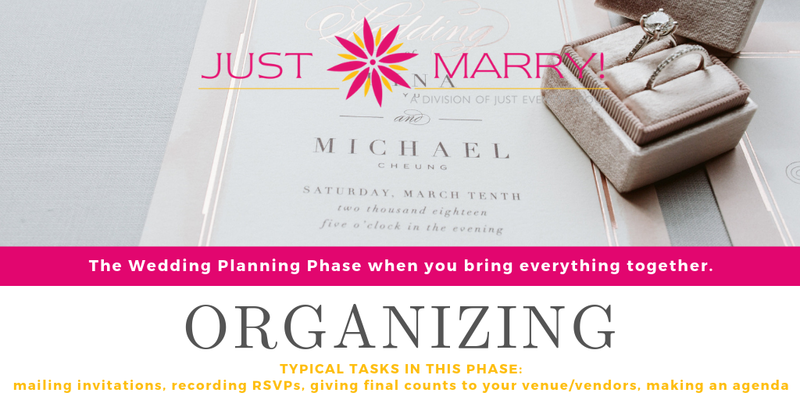 I thought it would be helpful to give a little insight on how I approach wedding guest list organizing as a wedding planner. As an event gets to the 30-day out mark prior to the wedding, the venue/caterer requires the meal choices for each guest if the meal is plated. While final headcounts aren’t typically required until around 72 hours prior to the event, it’s ideal to have those numbers firmed up as early as possible. It’s around this 30-day mark that I ask my couples for the table assignments of each guest in attendance. I personally love to have these details included within my agenda for the wedding day. It allows me to assist any wedding guests or the banquet team on the wedding day should any questions come up. Want to know how I track everything so you can do it for yourself? Read on! Fast-forward to when you’ve reached your RSVP deadline. 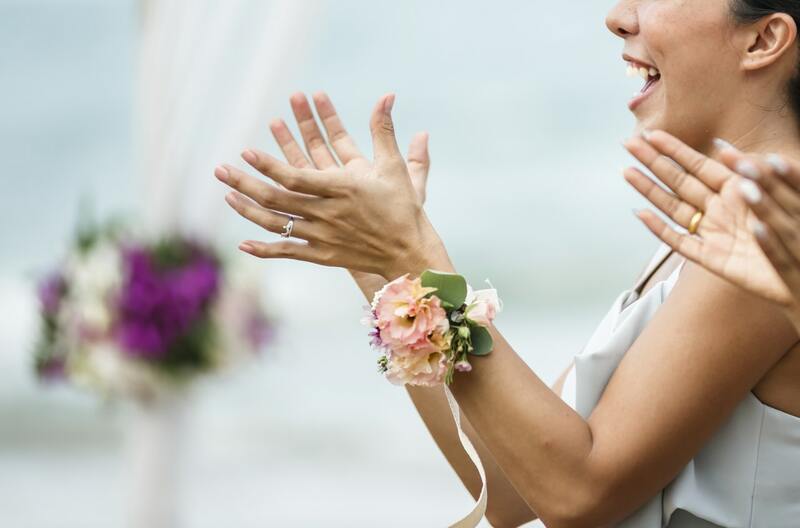 You’ve reached out to the guests that you haven’t heard from, and you now have a final count and know who will be in attendance on the day of your wedding. After you have grouped all of your guests at their respective tables and listed who will be seated where, pop open a bottle of wine and open up your guest organization tool! Begin inputting your guests’ names, their entrée choices, and the appropriate table numbers into the chart. Once you’re done, you’ll have a master list of your wedding guest list details all laid out for you to easily view and share with your venue and day-of wedding coordinator! You also now have a master list that you can use to assist with making place cards. Double bonus! 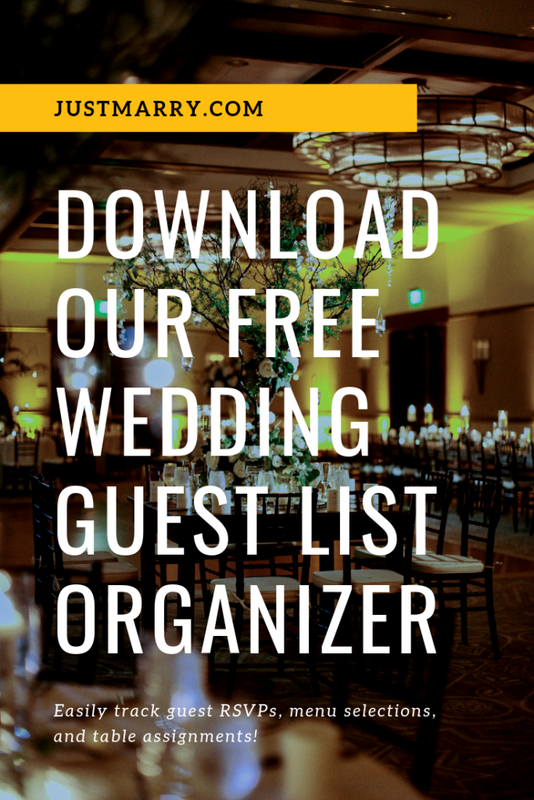 If you download our wedding guest list organizer before you start receiving your RSVPs, you’ll be in great shape! You can then enter them as you receive them to make for easy tracking purposes. Don’t worry if you’re a little past that point though. The spreadsheet will still come in handy! 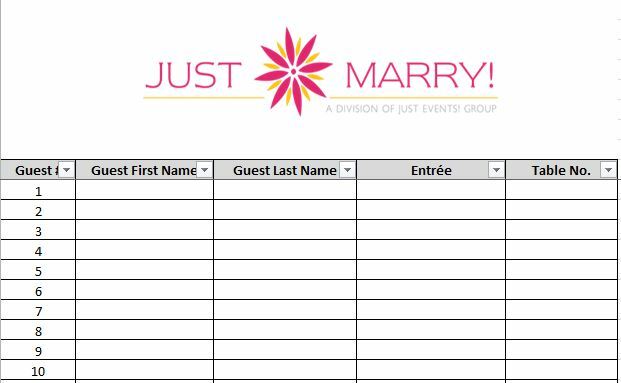 You can download our wedding guest list organizing tool below now! Ask the Planner: What Do I Do If My Guests Invite Guests? 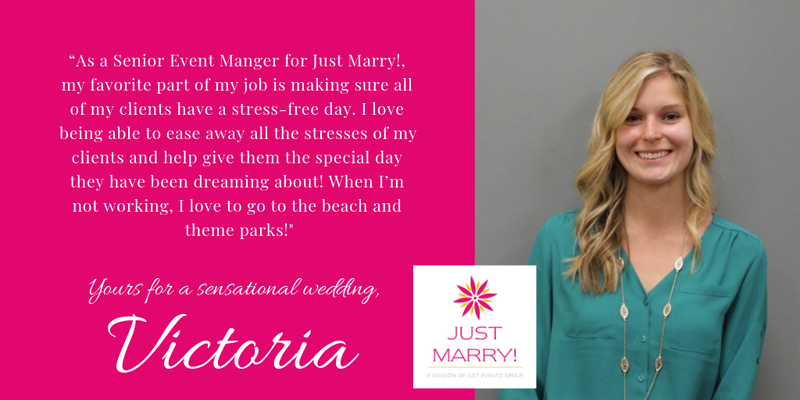 Nothing would make us happier than if you joined the Just Marry! family! We’d love to customize a planning process that meets your needs and budget. E-mail us at info@justmarry.com to start planning your dream wedding today!